Southern California isn’t exactly known for having the best public transportation system, but Foothill Transit, a public transportation agency in the San Gabriel/Pomona area, is about to get an impressive upgrade: all-electric buses that can charge up in under 10 minutes. Foothill bought three EcoRide BE35 all-electric buses, along with two charging stations. 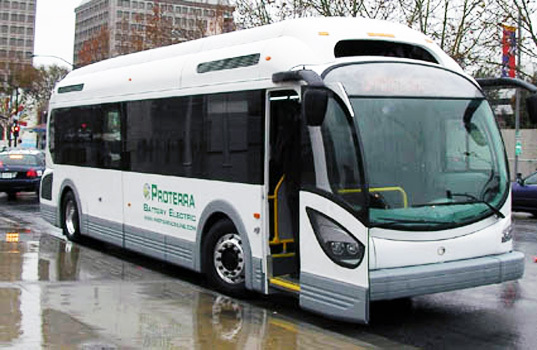 Both the buses and the charging stations were purchased from Proterra, a startup that offers fast-charging electric vehicles for commercial use. 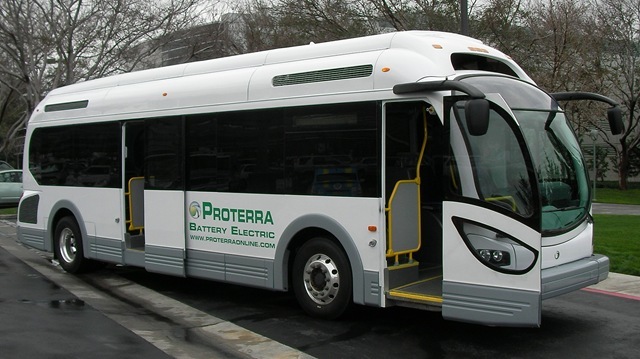 The secret: Proterra’s mammoth 72 kilowatt-hour battery packs, which are 50% larger than those found in the Tesla Roadster. Of course, that kind of technology doesn’t come cheap — Foothill is paying $5.6 million for its buses and chargers. With transportation agencies across the country facing major budget cuts, it’s unlikely that Proterra’s buses will find their way into big cities any time soon. But Foothill, at least, plans to expand its fleet to 12 buses if all goes well. Why can't they build them in Los Angeles, one of the biggest bus consumers in the U.S. I read about some great electric buses in China and the fast and automated change over of batteries that they use so the buses are only out of service for a couple of minutes. IBM will be hosting a day on Transport sustainability on 10th September in London. http://bit.ly/ibmstarttransport. Some of the day will be streamed live too. Hope you can join us. Southern California isn't exactly known for having the best public transportation system, but Foothill Transit, a public transportation agency in the San Gabriel/Pomona area, is about to get an impressive upgrade: all-electric buses that can charge up in under 10 minutes. Foothill bought three EcoRide BE35 all-electric buses, along with two charging stations.